India vs New Zealand live streaming: Virat Kohli-less Indian cricket team will look to start the 3-match T20I series on a positive note by securing a resounding victory over New Zealand in the 1st T20I match at Westpac Stadium, Wellington. Ind vs NZ 1st T20I will be played on February 6, Wednesday, and it will start from 08:00 pm India time. The live TV coverage will be available on Star Sports Network while the live streaming can be accessed on Hotstar, Jio TV and Airtel TV app. 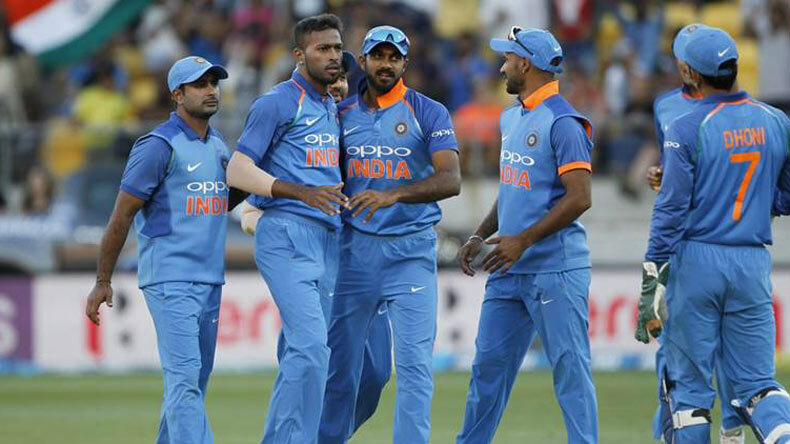 India vs New Zealand live streaming: New Zealand will look to kickstart the T20I series against India with a win on Wednesday in order to compensate the humiliating 4-1 loss it suffered in the recently-concluded ODI series. The Black Caps’ hopes will be tied with skipper Kane Williamson who has both failed to impress with the bat and lead his team in crucial moments in the ongoing series against Team India. While on the other hand, Rohit Sharma, who will captain the visitors in the absence of Virat Kohli, would want to gain an advantage over the Kiwis by overpowering them in the 1st T20I which will be played on Wednesday at Westpac Stadium, Wellington. All eyes will be on returning Hardik Pandya who has the potential to change the course of a game at an instance. Where to catch the live stream of India vs New Zealand 1st T20I match? Where will be the 1st T20I between India and New Zealand played?